Nowadays, the intensive use of natural resources in order to satisfy the increasing energy demand suggests a threat to the implementation of the principles of sustainable development. 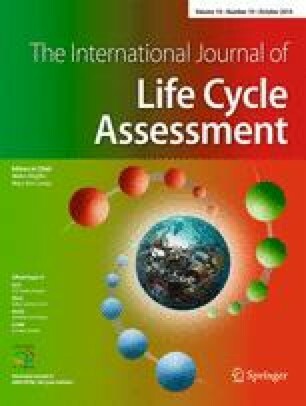 The present study attempts to approach thermodynamically the depletion of natural resources in the methodological framework and the principles of life cycle assessment (LCA). An environmental decision support tool is studied, the exergetic life cycle assessment (ELCA). It arises from the convergence of the LCA and exergy analysis (EA) methodologies and attempts to identify the exergetic parameters that are related to the life cycle of the examined system or process. The ELCA methodology, beside the fact that it locates the system parts which involve greater exergy losses, examines the depletion of natural resources (biotic and abiotic) and the sustainable prospective of the examined system or process, under the scope of exergy. In order to obtain concrete results, the ELCA methodology is applied to a large-scale, grid-connected, photovoltaic (PV) system with energy storage that is designed to entirely electrify the Greek island of Nisyros. Four discerned cases were studied that reflect the present state and the future development of the PV technology. The exergy flows and balance for the life cycle of the PV system, as they were formed in the ELCA study, showed that the incoming exergy (solar radiation, energy sources, and materials) is not efficiently utilized. The greater exergy losses appear at the stage of the operation of the PV installation. Due to the fact that contribution of the renewable exergy (solar radiation) to the formation of the total incoming exergy of Life Cycle is significant, it emerges that satisfaction of electric power needs with a PV system appears to be exergetic sustainable. The increase of the Life Cycle exergetic efficiency supported by the future technological scenario in contrast to present scenarios emerges from the increased electricity output of the PV system. Consequently, the increased exergetic efficiency involves decreased irreversibility (exergy losses) of the PV system’s life cycle. The application of ELCA in electricity production technologies exceeds the proven sustainable prospective of the PV systems; however, it aims to show the essence of the application of ELCA methodology in the environmental decision making process. ELCA can be a useful tool for the support and formation of the environmental decision making that can illustrate in terms of exergetic sustainability the examined energy system or process.